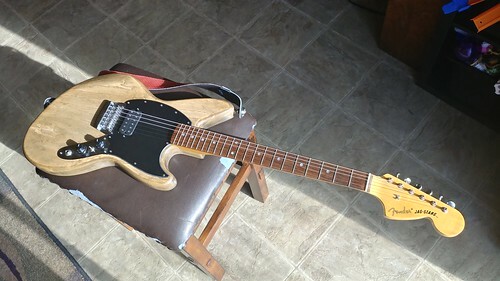 Was wanting to try something different with this guitar, so I ordered a black one ply matte pickguard with just a humbucker and put in a Super Distortion. 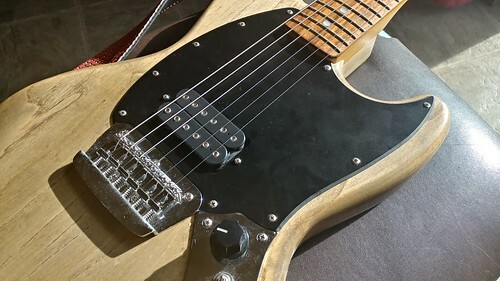 Everything went pretty ok except the mounting screw holes were a little loose so when I would raise the pickup, it would go up and then drop in to the body. 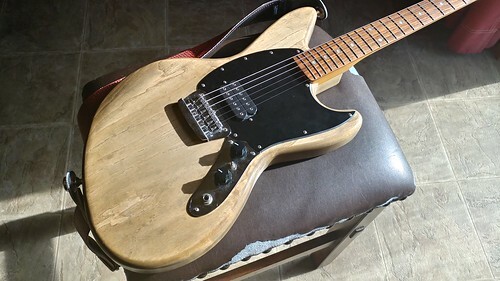 I fixed it by soldering the tabs from another (cheapo humbucker) pickup over the existing holes and it seems to be all good now. The mini toggle is now a kill switch if I flip it up. Middle and down are on. Nice and simple. Makes me think of an Esquire now.